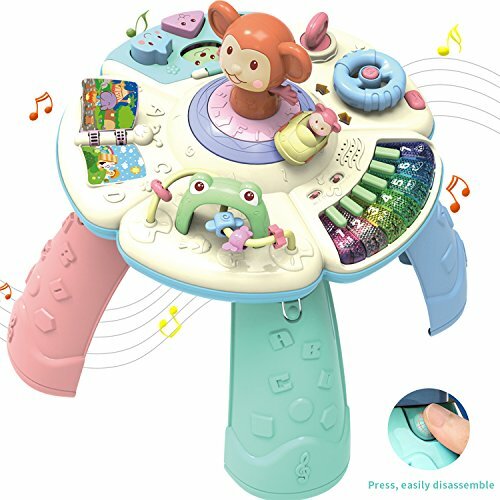 Interesting Colorful Piano & Interactive Page Reading:3 musical modes,playing 14 songs,give more fun.Turn pages to play Chinese Tang Poetry,English stories.Colorful buttons will attract the baby's attention,play wonderful music as his(her) wish,inspire baby music talent. Realistic Driving & Funny Graphics Blocks:Shape cognition.Move the puzzle beads pass through the cute frog's mouth.Improve baby's delicate movements and cognition ability.Two monkeys can turn or rotate with music.Make different driving actions,playing out corresponding realistic driving sounds,attracting baby to touch. If you have any questions about this product by HOMOF, contact us by completing and submitting the form below. If you are looking for a specif part number, please include it with your message.